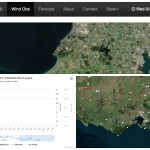 Vic Wind News provides you with the most recent information about Vic Wind app updates. You will also be informed about weather and wind forecasts and observations. Vic Wind will also share news, advice and event announcements for surfers, kitesurfers, windsurfers, sailors, fishermen, cyclists, hikers, swimmers, SUPers and others who love life outdoors.